Frank Jimenez says that choosing to pursue law was the best career decision he has ever made, but it’s not one that came easily. Initially, Jimenez’s goal was to become a doctor; the problem was that he didn’t want to be accused of copying his older brother, who’d already graduated from law school by the time Jimenez was premed. Thankfully, his intuition to pursue law was spot-on. Jimenez has had an illustrious career in law, spanning private, in-house, and government positions. 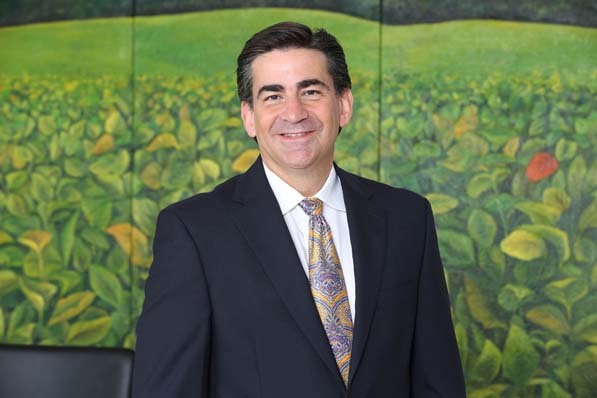 Now, Jimenez brings his years of experience and expertise to the role of general counsel, secretary, and managing director of government affairs for Bunge Limited, one of the world’s leading agribusiness and food companies with integrated operations on six continents. Jimenez says it is important to view Brazil in the proper context, as one of the top three countries for agriculture in the world. So critical is this country to the work that Bunge does, that Bunge has been in Brazil for more than 100 years and a majority of its workforce is located there. According to Jimenez, 23,000 Bunge employees are based in Brazil and the country’s “beautiful culture” is reflected in Bunge’s corporate culture. In addition to being a leading exporter of agricultural products and the largest soybean crusher in Brazil, Bunge also has eight sugarcane mills in Brazil that produce sugar, ethanol, and electricity. It is a new business endeavor for Bunge, and Jimenez is confident it will pay off. Bunge Limited was founded in Amsterdam in 1818 and was headquartered there until 1880, but Europe continues to be an important area for the company. In 2002, Bunge acquired Cereol, a leading European oilseed processor, making Bunge the largest soy processor in the world and a leading supplier of bottled oil to consumers. In the European Union, Bunge is headquartered in Geneva, a world trade capital and home to one of Jimenez’s favorite hotels in the world: Hôtel Les Armures, housed in a 17th-century building in the heart of Geneva’s old town. Frank Jimenez joined Bunge Limited in July 2012. Previously, Jimenez was senior vice president, general counsel, and corporate secretary at Xylem Inc., an ITT spin-off. He joined ITT in 2009 as vice president and general counsel. Prior to ITT, he served for nearly three years as general counsel of the US Department of the Navy in the Bush and Obama administrations. He has held a variety of other positions in government, including Deputy General Counsel for the US Department of Defense and chief of staff at the US Department of Housing and Urban Development, as well as deputy chief of staff and acting general counsel to Governor Jeb Bush of Florida. Bunge began investing in Asia in 1999, but didn’t enter Vietnam until 2008 with an investment in Phu My Port, near Ho Chi Minh City. The investment allowed Bunge to build its commodity flows into the country. The company then built an integrated crush plant—the first of its kind in Vietnam—on the same site, where soybeans are processed for animal feed and cooking oil.